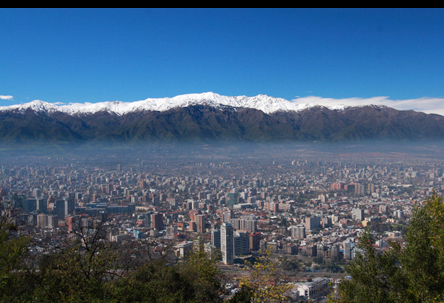 Stately and monumental Santiago, 120 kilometers (75 miles) inland, is encircled by the Andes. Santiago offers the visitor such important museums and public buildings as the Museo Precolombino and Palacio and Centro Cultural de La Moneda. A walk along Paseo Ahumada to the Plaza de Armas and thence to the old Mercado Central gives a taste of many different facets of the city. Speaking of taste, Santiago has a vibrant dining scene, with fine dining, pop-up restaurants, market stalls, lots of local seafood, and neighborhood-based microbreweries. But if you want to blend in with the locals, hit one of Santiago’s heladerias, and stroll the streets eating your ice cream treat. The city has great public markets like Mercado Central (seafood), Pueblito Los Dominicos or Centro Artesanal Santa Lucia (craft markets), and the very lively La Vega (fruit and vegetables). From cosmopolitan Santiago, on November 27, 2020, you’ll head to the port of San Antonio to board Holland America Line’s Zaandam, an ~80 mile, ~90 minute ride away.